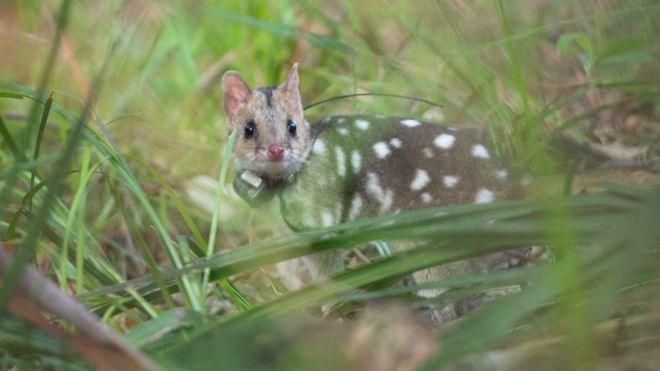 A species of marsupial, the eastern quoll, has returned to the wild in mainland Australia for the first time in about half a century. Less than a year ago, the scientific community thought the Great Pacific Garbage Patch was about the size of France. As tends to be the case with bad news about plastic pollution, the reality is worse than we thought. The massive floating agglomeration of plastic debris between California and Hawaii is actually the size of three Frances. Put another way, it’s twice the size of Texas. The Amazon, the single largest tropical rainforest and home to 10% of the world’s known species, could lose half of its plants and animals by the end of the century as global warming ravages the planet—and that loss of biodiversity is just a snapshot of what’s happening to the world’s forests, wetlands, and seas. The world’s last male northern white rhino, Sudan, has died after “age-related complications,” researchers announced Tuesday, saying he “stole the heart of many with his dignity and strength.